GENEVA IL. 60134 TEARDOWN AND REBUILD BY SOUTHAMPTON BUILDERS LLC. WITH RIVER & GOLF COURSE VEIWS. EXTENSIVE BLUESTONE TERRACED RETAINING WALLS WITH FALLING WATER PONDS. TAKE A LOOK AT A FEW PICTURES OF THIS SPECTACULAR FRENCH COUNTRY INSPIRED HOME BUILT BY SOUTHAMPTON. WE BUILD IN A VARIETY OF STYLES SO PLEASE VISIT OUR PORTFOLIO OF CUSTOM HOMES FOR MORE INSPIRATION. CONTACT SOUTHAMPTON FOR ALL OF YOUR CUSTOM HOME NEEDS. SOUTHAMPTON IS EXPERIENCED IN BUILDING NEW CONSTRUCTION HOMES ON TEARDOWN LOTS AND IN NEW SUBDIVISIONS. PLEASE TAKE A LOOK AT A FEW OF THE HOMES WE HAVE BUILT OVER THE YEARS IN OUR CUSTOM HOME PORTFOLIO. 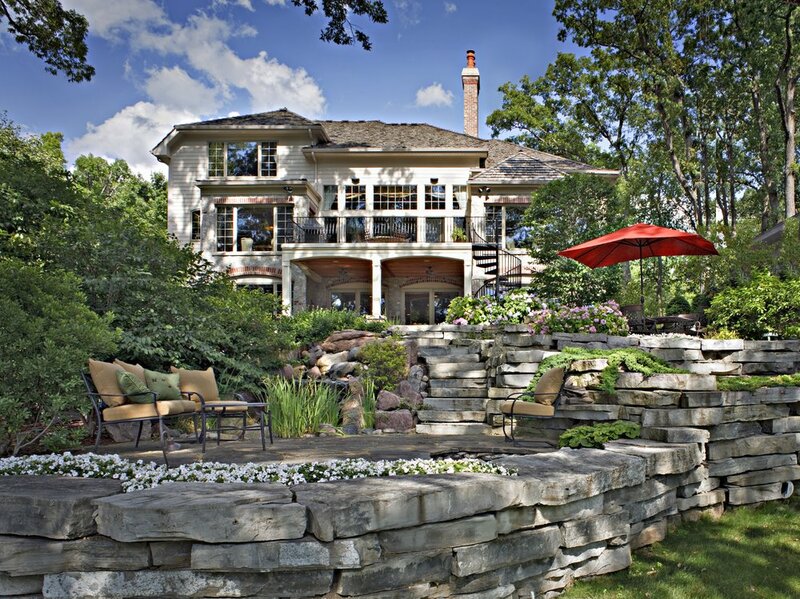 CUSTOM HOMES IN NORTHERN ILLINOIS. LOCATED IN GENEVA IL 60134. SOUTHAMPTON BUILDERS LLC.